All of these reasons, with the exception of the last two (possibly three but I think there are some improvements to make here), are completely avoidable. The problem is, by the time someone is ready to quit over these things, there’s really nothing you can do to keep them except to desperately offer them more money, which I’ve never seen work long-term. I’m not saying any of these are bad. I think they’re great. I’m just saying they don’t do anything to retain great employees if you don’t have a robust performance management system in place. So what does that look like? 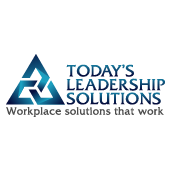 Carrie Maldonado is the founder of Today’s Leadership Solutions, a Seattle-based consulting firm providing comprehensive organizational development solutions for companies who are growing and who truly value their people. With certified Executive Coaches, Organizational Behavior Management (OBM) practitioners, SPHR-certified HR professionals, and Organizational Development Specialists, Carrie’s team brings a unique perspective and a cross-functional approach to providing workplace solutions that work. If you enjoyed this post, please share the love, and come hang out with me on Twitter, Facebook and LinkedIn. Great post. Good question to consider.